As we have mentioned elsewhere, the vast majority of truck drivers are trained professionals who are safer drivers than the average motorist on the road. 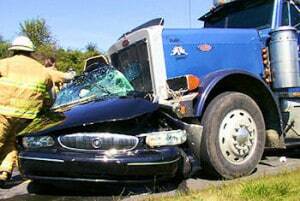 However, truck drivers are still human and are subject to human emotions and error, including aggressive driving. If you have been injured in a trucking accident that you believe was caused by a truck driver’s angry, aggressive, or reckless driving, you may be entitled to compensation. The truck accident attorneys at Slappey & Sadd have extensive experience representing clients who were injured by aggressive and fatigued truck drivers, we will review your case and work on your behalf to obtain the maximum compensation you deserve. We serve the entire state of Georgia, including Lagrange, Rossville, and Loganville. Using headlights or brakes to “punish” other drivers. Forcing another vehicle off the road. If you feel physically threatened, call 911. If you were injured in an accident that was caused by an aggressive truck driver, you are probably wondering if you can be compensated for your losses. Many behaviors associated with aggressive driving violate Georgia state traffic laws and, when that is the case, the truck driver can be deemed at-fault for the accident. If you believe that you have a pursuable claim, it is a good idea to contact an Atlanta truck accident attorney to review your case.